Britain’s biggest selling daily newspaper has included AMAR in its prestigious Christmas Appeal. The Sun’s #SmilesAtChristmas campaign is highlighting our work and that of three other domestic UK charities and all will benefit equally from the money raised. The newspaper, which has a daily sale of almost two million copies, and is read by millions more on line, is particularly keen to help children affected by crisis, conflict, disease and domestic violence. “AMAR teams across the region – all local people themselves – are working around the clock to ensure many hundreds of thousands receive the very best health care, but to do this we need the financial resources that are often so difficult to come by. We hope The Sun’s readers will really help us,” continued Baroness Nicholson. She added she could personally assure people that the money they donate will go straight to helping those most in need in Iraq. Not a penny would be wasted. 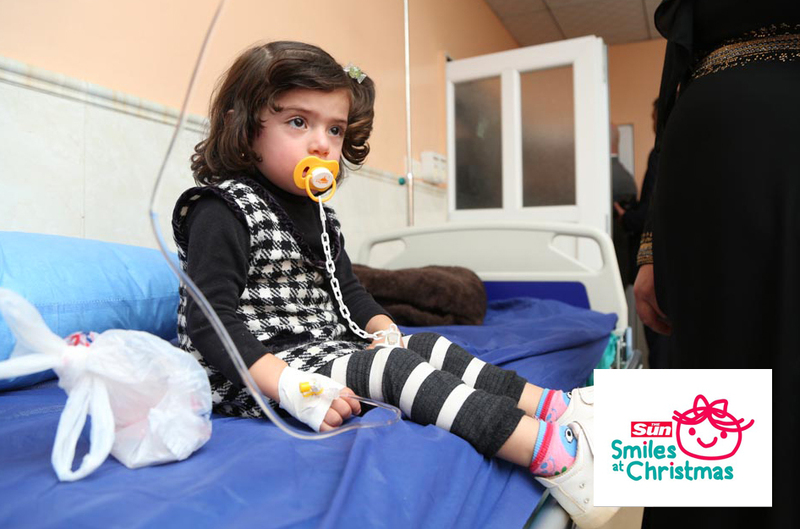 To view The Sun’s appeal page online, visit thesun.co.uk/smilesatchristmas. Visit their Facebook page at fb.com/SmilesAtChristmas or tweet using #SmilesAtChristmas.